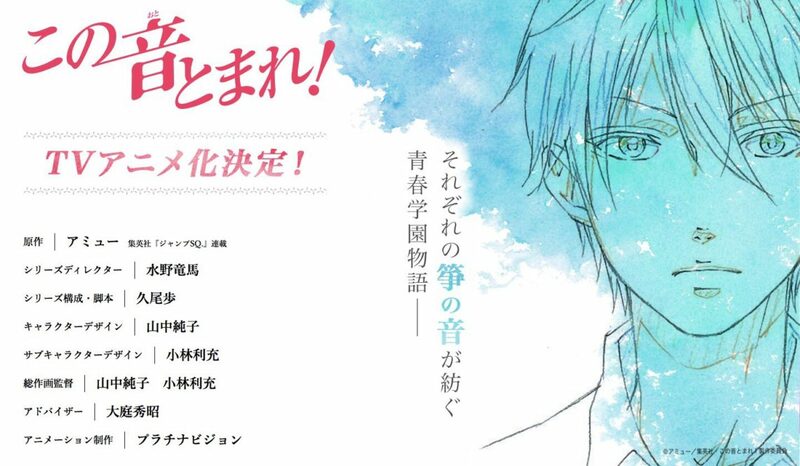 Shueisha’s website announced on Thursday that Amyuu’s Kono Oto Tomare! (Stop This Sound!) manga is getting a television anime adaptation. The August issue of Shueisha’s Jump SQ. magazine had teased earlier this month that the magazine’s September issue would have an important announcement for the manga. The manga will feature on September issue’s cover, and the newest chapter will have an opening color page. The issue will also feature a clear file for the manga. 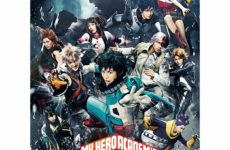 A countdown website was launched last week by Jump SQ. for a “big announcement” that now links to the anime announcement. Check out the announcement video streamed by the website! Ryouma Mizuno is serving as the series director at Platinum Vision (Saiyuki Reload Blast, Servamp, Devils’ Line), Ayumu Hisao (Devils’ Line, Sword Oratoria: Is It Wrong to Try to Pick Up Girls in a Dungeon? 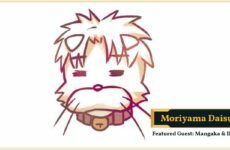 On the Side) is writing and overseeing the scripts, Junko Yamanaka (ReLIFE, Servamp) is the character designer, and Toshimitsu Kobayashi (Spice and Wolf II, Aoharu x Machinegun) is the sub-character designer. Yamanaka and Kobayashi are also both serving as chief animation directors, and Hideaki Oba is the advisor. In the story, Takezou is the last remaining member of the koto club, a club dedicated to the traditional Japanese string instrument. If he doesn’t find new members, the koto club will be terminated. One day, Takezou is alone in the club room when a student barges in and demands to join. The student is delinquent Chika Kudou, a girl who even scares delinquent upperclassmen at other schools. 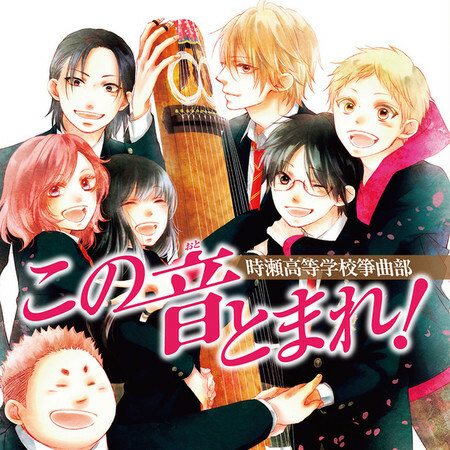 Amyuu launched the manga in Jump SQ. back in August 2012, and the 18th compiled volume will ship on August 3rd. The manga currently has more than 2.3 million copies in print. 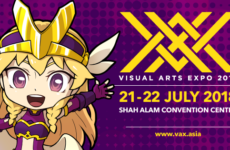 Next PostVAX 2018 Wrap-Up & Thoughts!